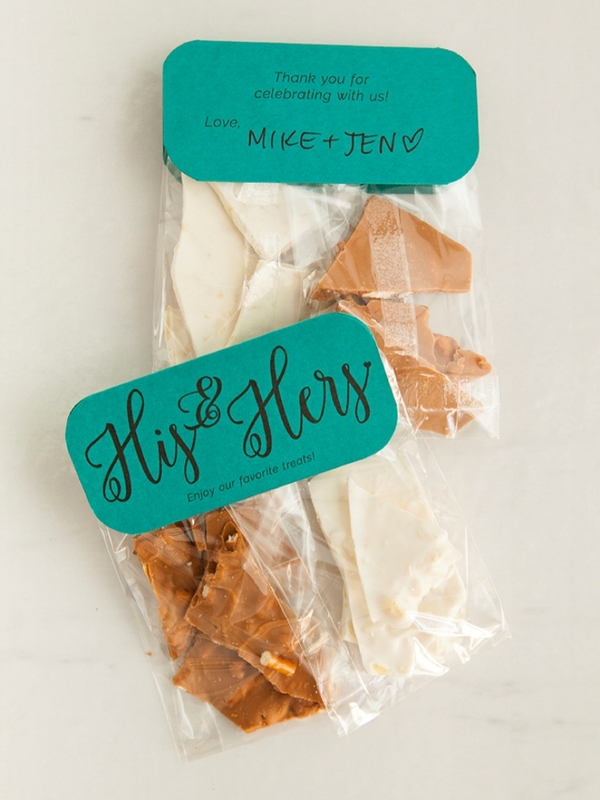 Check Out These DIY His & Hers Chocolate Bark Favors! 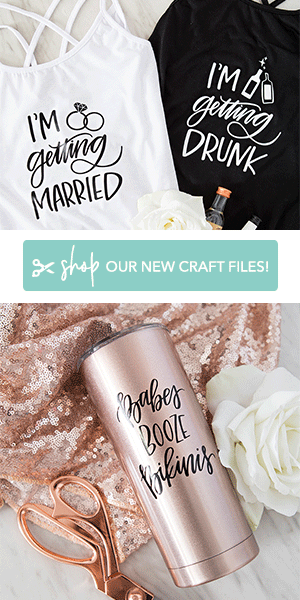 I love when weddings get personal and include special, unique details about the couple. 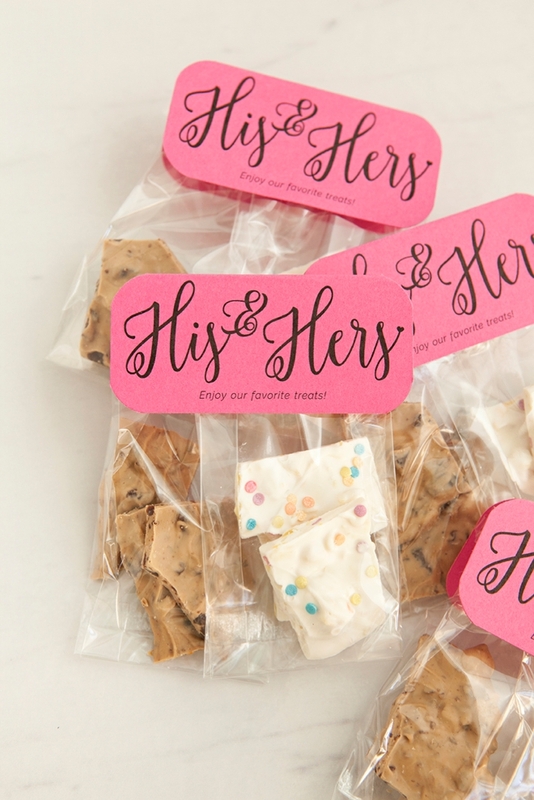 Celebrate your individuality and how you blend so well together with this fun DIY His + Hers Treat Favor idea! Maybe you like salty treats and maybe he prefers the sugary kind. 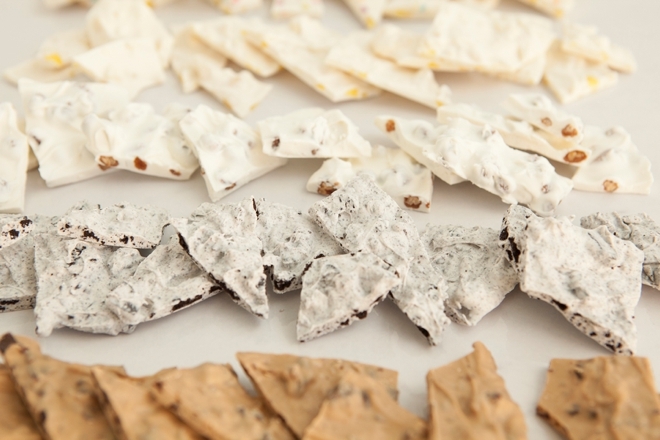 Maybe you both like chocolate and fight over the last piece. 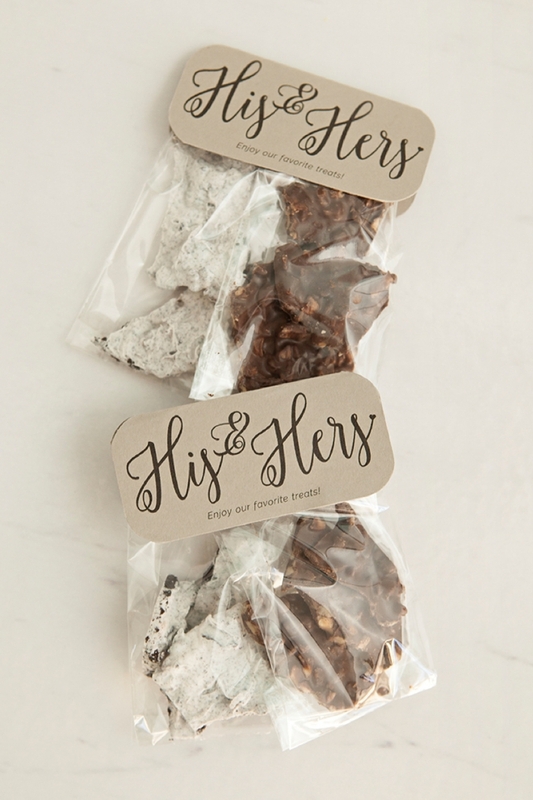 Either way, sharing both of your favorite treats with your guests is a great way to give them a glimpse into your life as a couple. 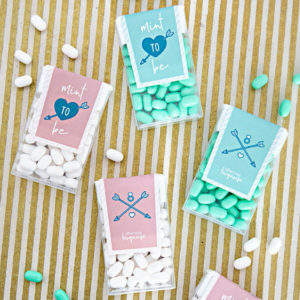 So I’m sharing one of my all time favorite candy recipes which I think would be the perfect treat to include in these favors. 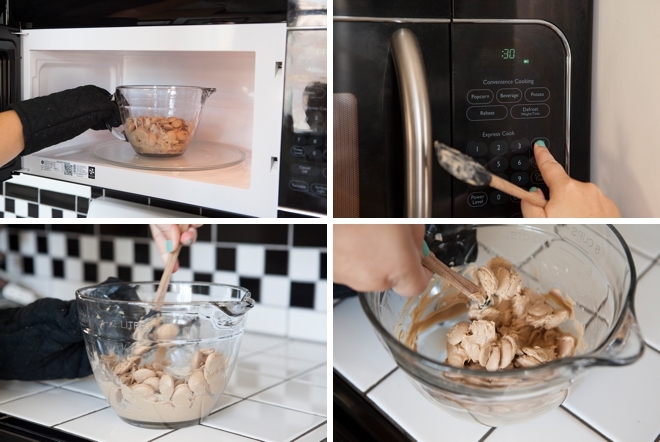 Don’t let the look fool you, it’s 100% fail-proof and will have your guests begging for the recipe. 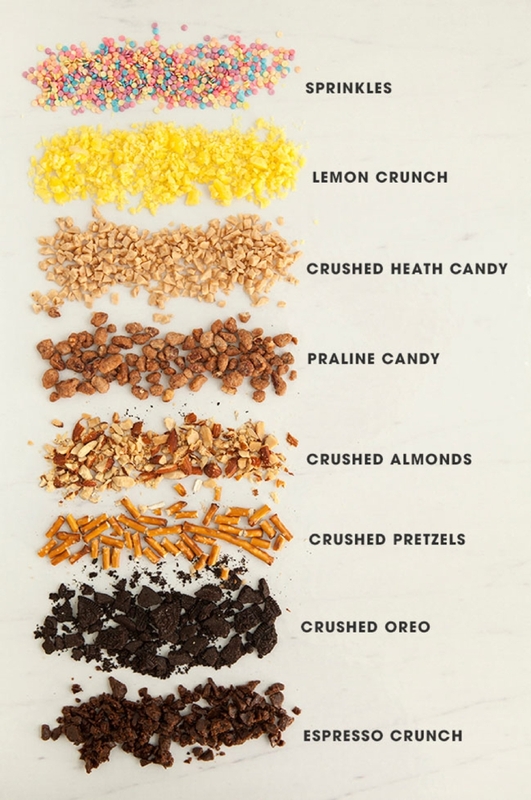 The only question is… what combination is your favorite? 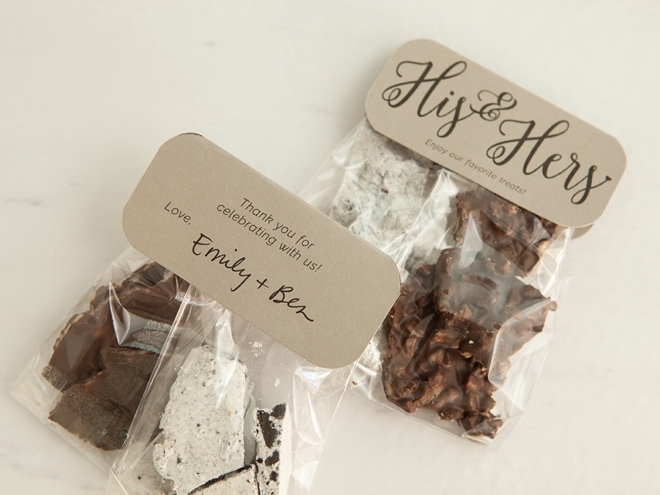 This chocolate candy bark is to die for… and I don’t even really like chocolate! Way back when I was a hair dresser, one of my clients brought some in for me as a Christmas present. 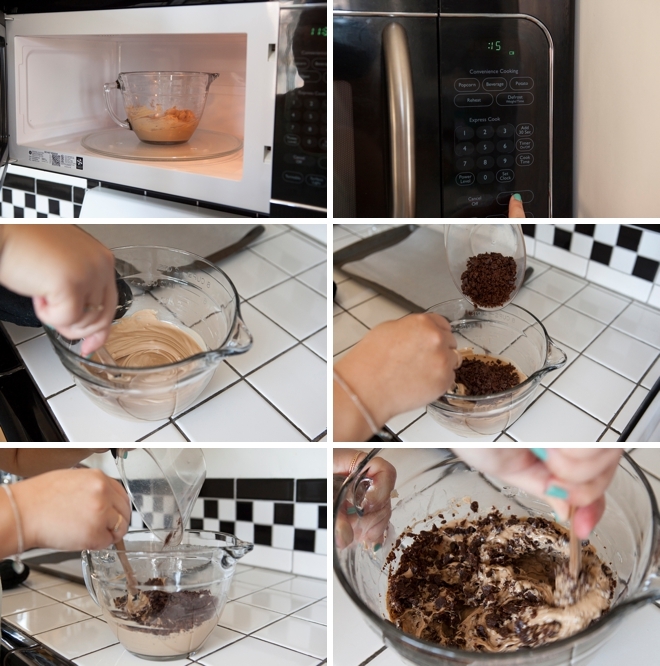 I started raving about it and she explained that it’s insanely easy to make and that I had to try it. 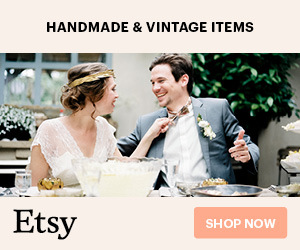 So I did, and my Mom and I made quite a bit that holiday season. I usually make at least one batch during the holidays and so I’m surprised that I never actually shared it here with you. There are many intense “bark” recipes out there but this one is simple and will take literally no more than 12 minutes per batch, seriously. 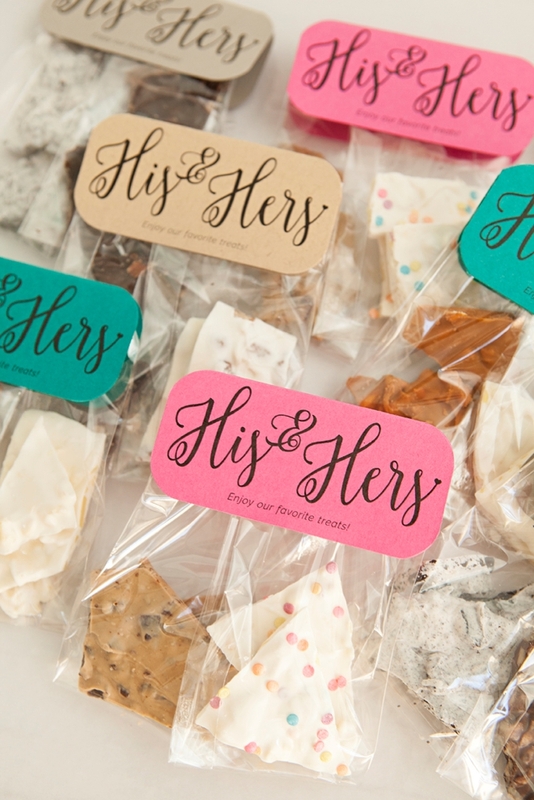 I made all 8 batches in less than 2 hours, with two trays going – cleaning included… and like I said, it’s to die for and your friends will think you slaved over it for hours! 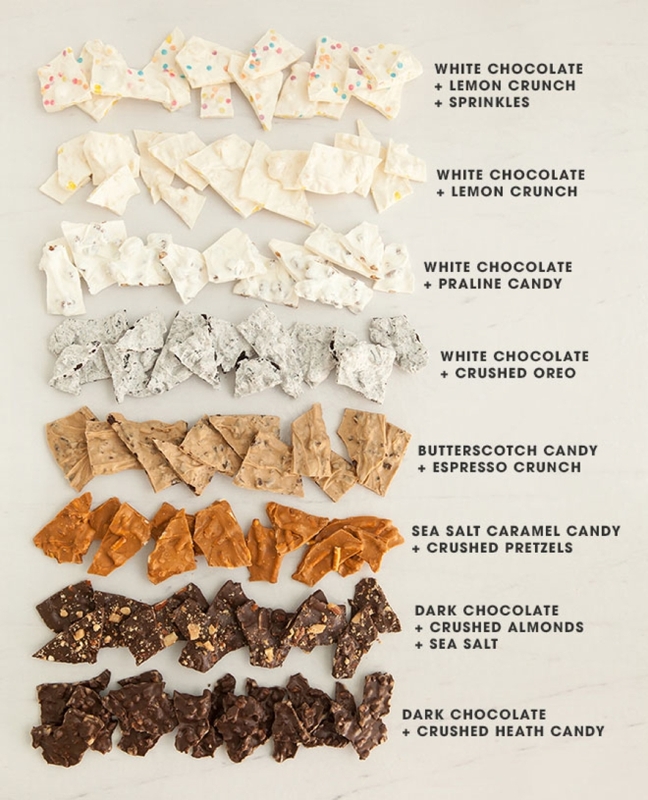 To make really good chocolate bark candy you need to use high quality candy melts… and I’m specifically saying do not use the “colored” kind you find at big box craft stores, it’s not good and it’s not really even chocolate. The brand I recommend using is called Merckens and they call their melts “candy coatings”. 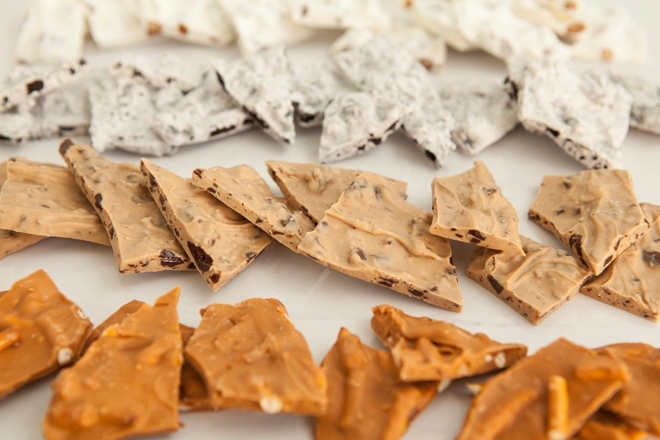 If you purchase the candy crunch from Classic Cake Decorators, the bags come with 8oz of crunch which is about 1.5 cups – enough for two batches! 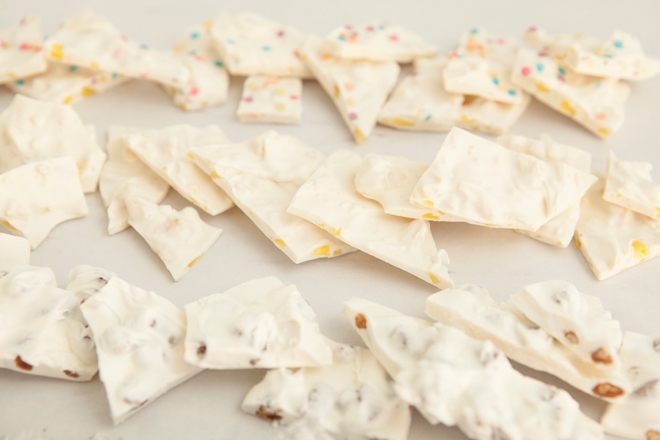 Making this chocolate bark literally couldn’t be any easier and if you have kids it’s a wonderful project to make with them! 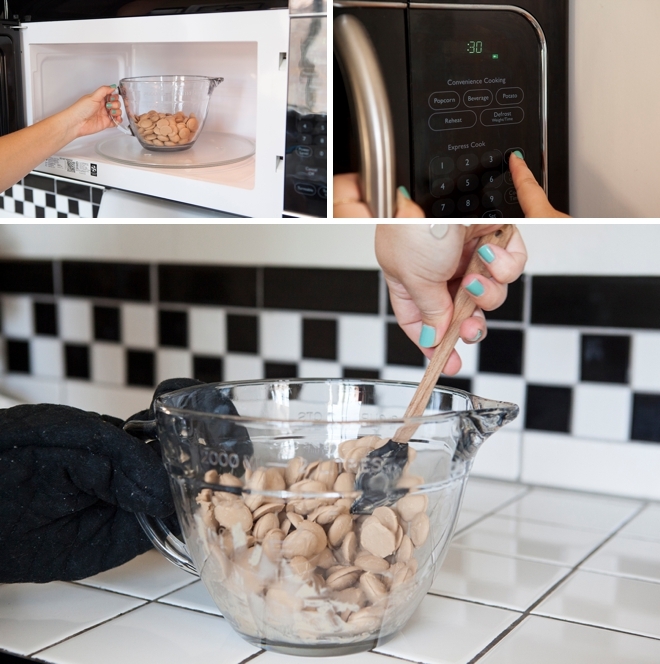 Add your mix-in treats of choice and stir. 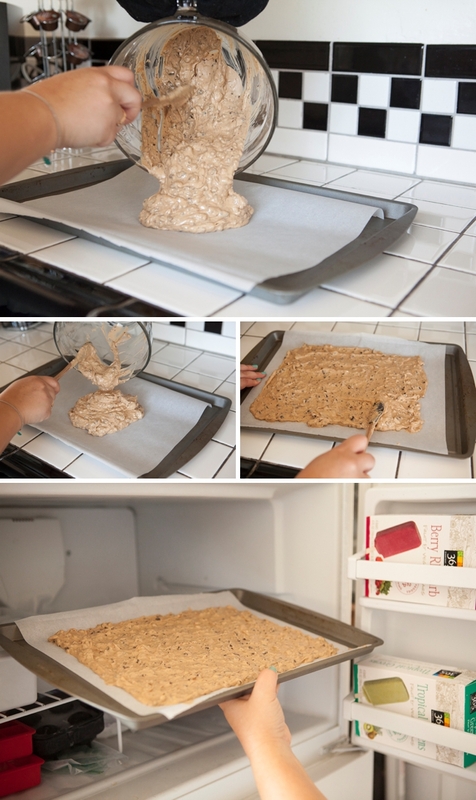 Remove from the freezer and break into pieces! 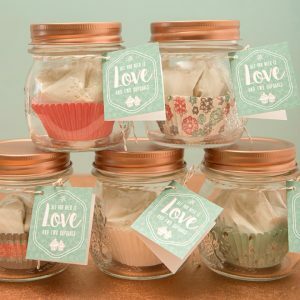 Store in an air tight bag or container, in a cool dry place away from sun and heat for quite a long time. I’ve heard that the bark can stay fresh for months in an air tight container, but it’s SO good it won’t last that long! 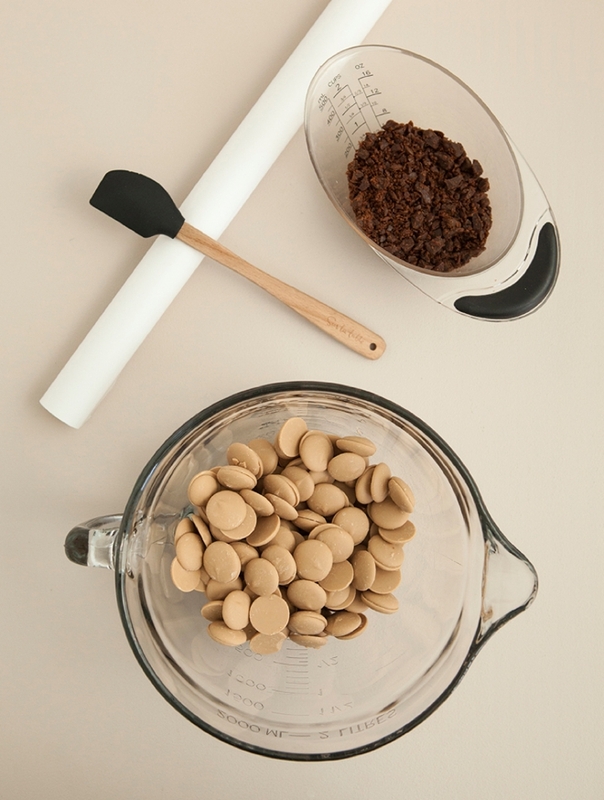 I’m not a chocolate person to begin with and I don’t like milk chocolate at all, which is why I didn’t make any… but rest assured I’ve probably already eaten a pound of what you see here, it’s that good! 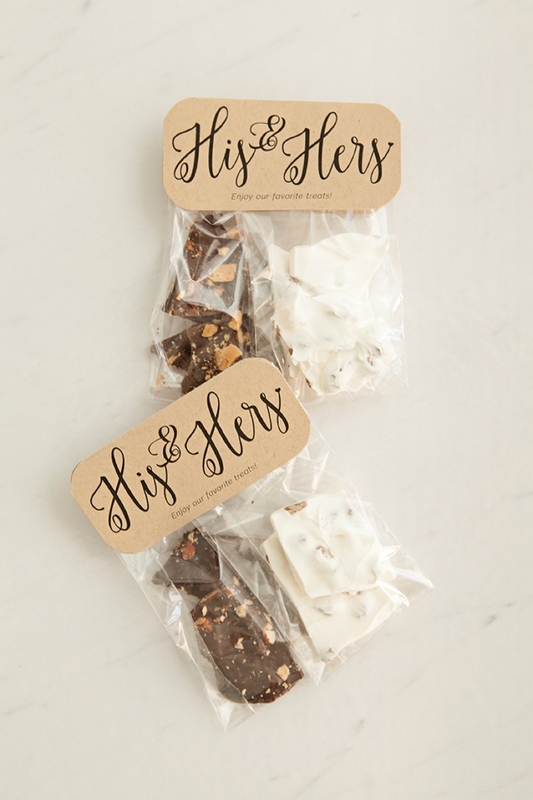 This amazingly easy and super delicious chocolate bark would make for fantastic wedding or bridal shower favors. 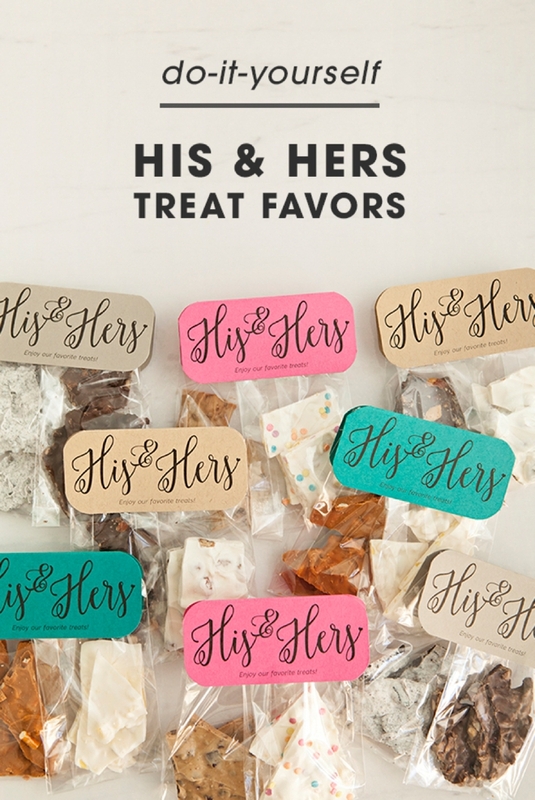 Of course to use this “his + hers” favor idea you don’t have to use this bark… feel free to add any type of treats to truly make this favor all about you! 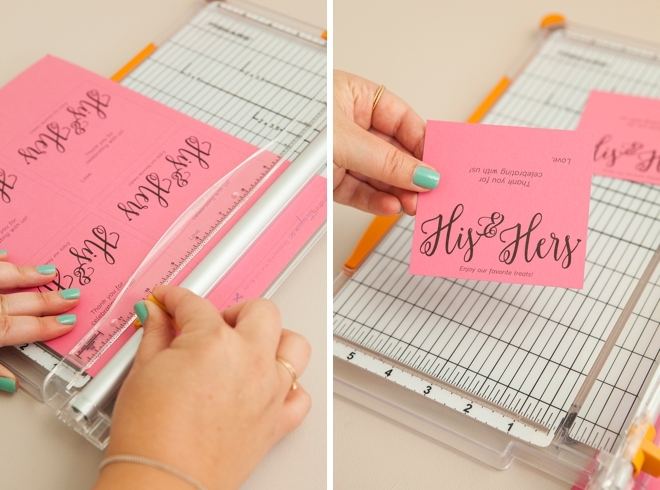 Our free printable tag design at the end of the post! 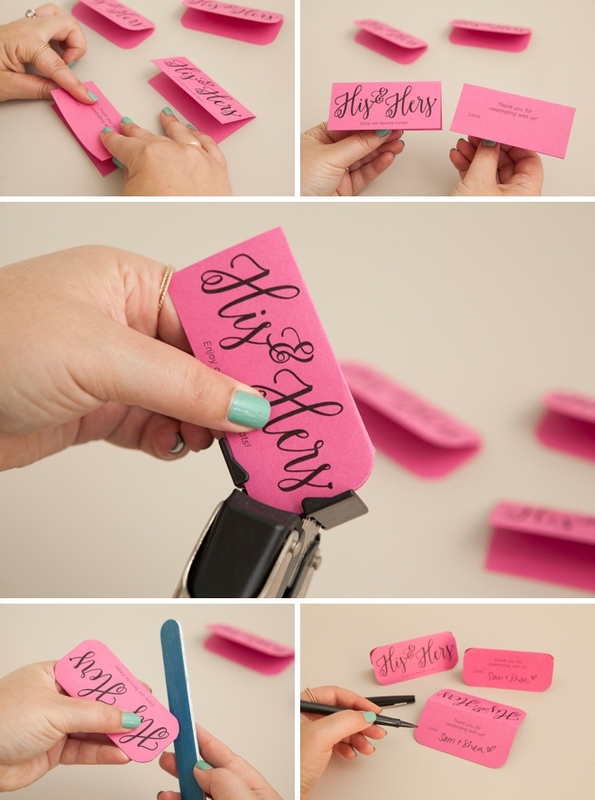 Fold the tags in half and then round the corners. If the punch isn’t perfect you can always smooth rough edges with a nail file. 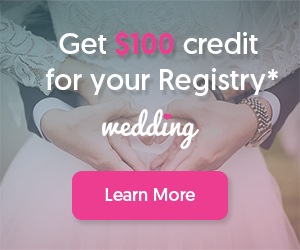 Then sign your names on the back of the tag! 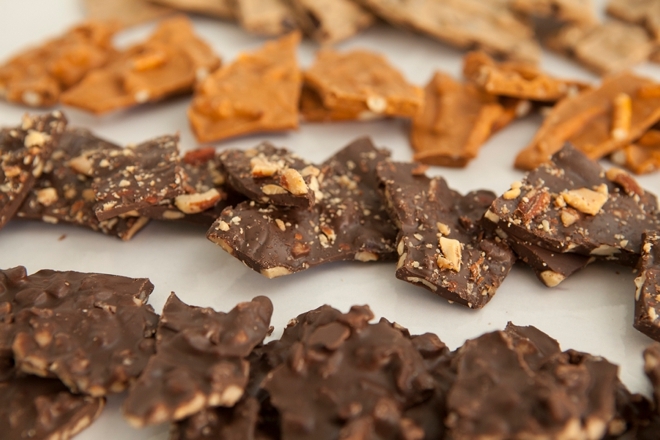 This chocolate bark is rich, so giving just one ounce of each of your favorites is plenty. 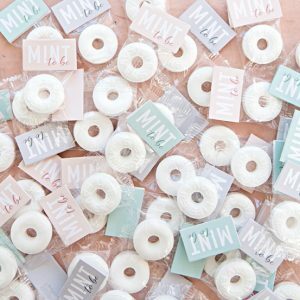 That means it’s two ounces of candy/treats per favor and you’ll be able to get 10-12 favors per batch. 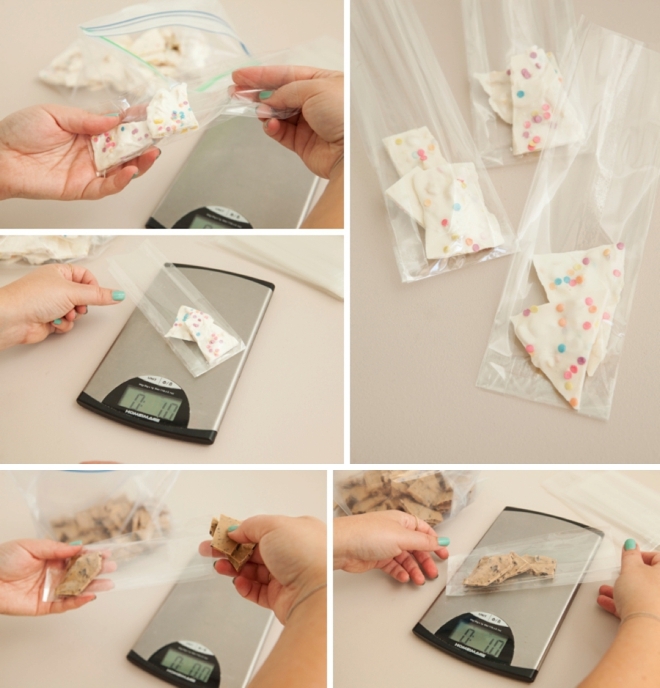 Holding both of the cello treat bags together, fold the tops down at the same time and staple closed. 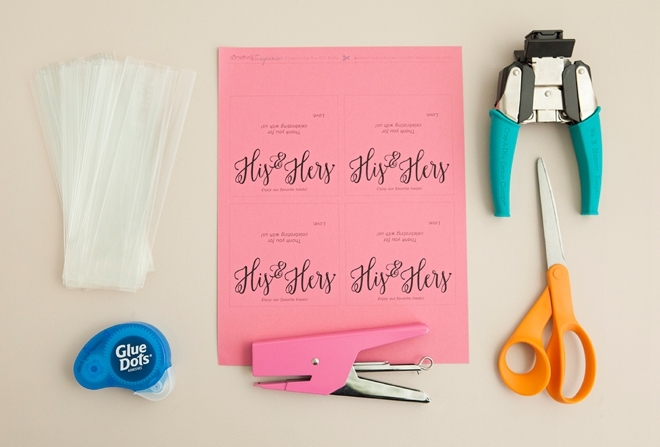 Add your favorite scrapbook adhesive to the tags and adhere over the top of the cello bags – that’s it! 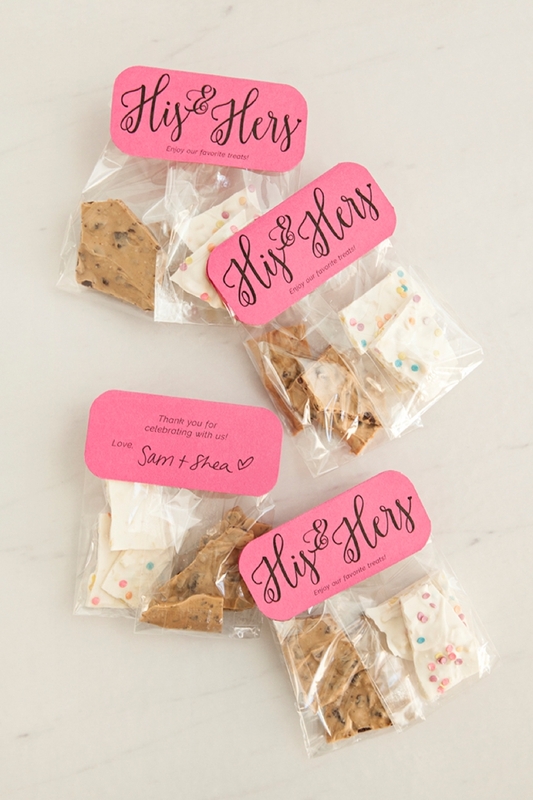 Of course to use this “his + hers” favor idea you don’t have to use this bark… feel free to add any type of treats to truly make this favor all about you guys!